Use ggplot in R to create a static map of social media activity. Use leaflet to create an interactive map of social media activity. Use GGAnimate to create an antimated gif file of social media activity. In the previous lesson, you used text mining approaches to understand what people were tweeting about during the flood. 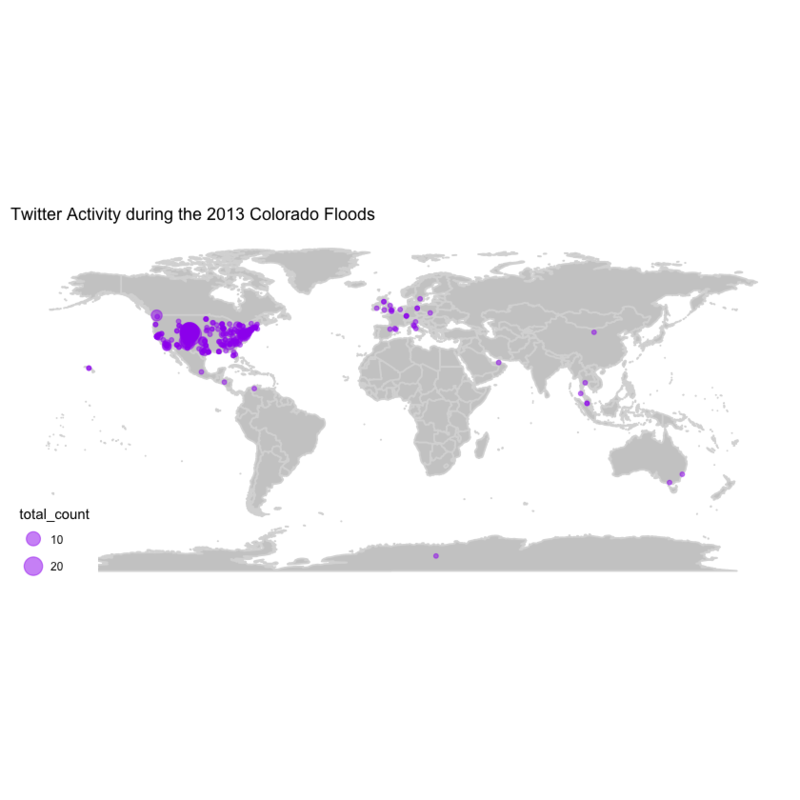 Here, you will create a map that shows the location from where people were tweeting during the flood. Keep in mind that these data have already been filtered to only include tweets that at the time of the flood event, had an x, y location associated with them. 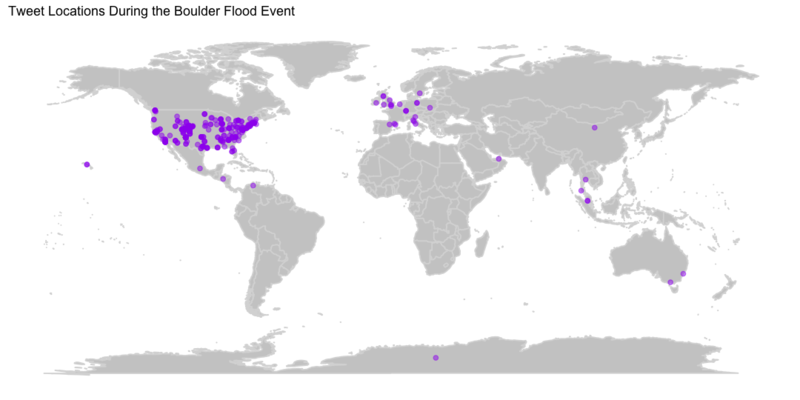 Thus this map doesn’t represent all of the tweets that may be related to the flood event. 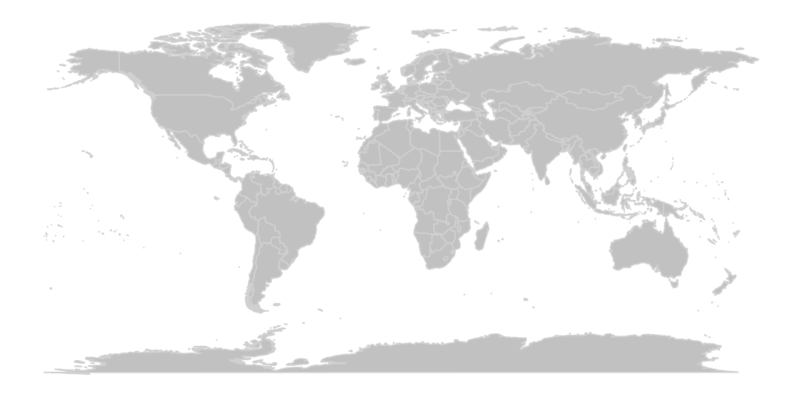 ggplot: You will use ggplot() to create your map. You will use the maps package to automatically access a basemap containing boundaries of countries across the globe. Finally you use the ggthemes library which includes theme_map(). This theme turns off all of the extra ggplot elements that you don’t need such as the x and y axis. Build a custom data.frame with just the information that you need. Below you can see how the theme_map() function cleans up the look of your map. 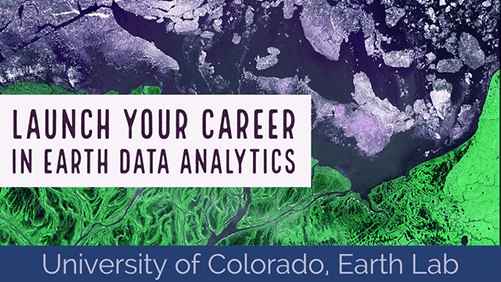 Next, look closely at your data. Notice that some of the location information contains NA values. Let’s remove NA values and then plot the data as points using ggplot(). ## 34                               “@mitchellbyars: #Boulder police officer checking in with the #potgiveaway table. \nجاك الموت يا مدخن الحشيش! Next let’s create an interactive map of the data using leaflet. This will allow us to explore the tweets. It is particularly interesting that some tweets are not even in the United States. 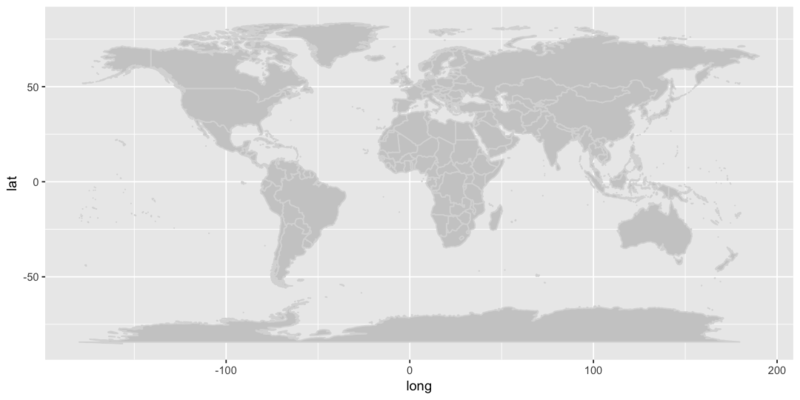 There is a bug in RStudio with leaflet where the addTiles() function sometimes produces a blank basemap. To resolve this issue, simply use another leaflet basetile set. If you are encountering the bug with RStudio rendering a blank basemap, use the addProviderTiles() function and specify a different basemap. It should work! # perhaps round the lat long and then do it? You can animate this over time to see what was occuring day by day. Note that this requires ImageMagick to be installed on your computer. If not, you visit the ImageMagick website to download it and install. Note that the dimensions of the map above are still not quite right. If anyone has discovered a way to ensure gganimate_save() dimensions actually work, please leave a comment below!